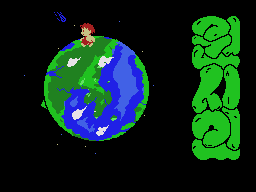 Wonsiin (원시인) is an unlicensed Sega Master System adaption of the Hudson Soft MSX game Adventures of Dino Riki. It was only released in South Korea. Wonsiin can be translated like Primitive Man.